As U.S. 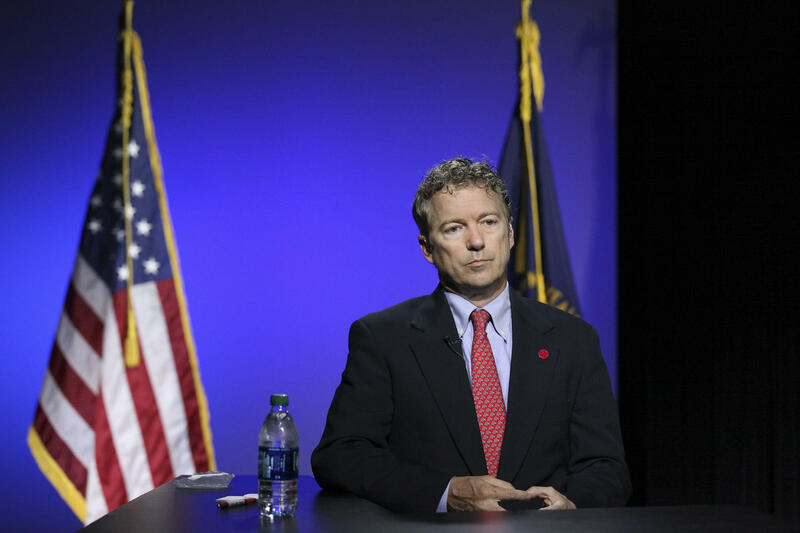 Senator Rand Paul prepares for a Republican presidential debate Thursday night, a former Kentucky House Speaker says Democrats could benefit from Paul’s White House bid. Glasgow attorney Bobby Richardson was a state Representative from 1972-1990, and served as House Speaker during the 1982 and 1984 General Assembly sessions. Richardson says whoever emerges as the Democrat’s nominee for U.S. Senate should remind voters Paul is seeking two offices at the same time. The Kentucky Republican Party is holding a presidential caucus March 5 so that Paul can run for re-election to the Senate and seek the White House simultaneously. Paul rejects the idea that he’s been distracted by running for both offices. During a recent stop in Bowling Green, the Republican said he’s remained a strong voice for Kentucky in the U.S. Senate. “I continue to travel around the state of Kentucky and I don’t think there’s any evidence that I haven’t been doing my day job." A recent NBC News/Wall Street Journal/Marist poll shows Paul running eighth in Iowa among Republican presidential candidates. The poll shows the Kentucky Senator with two percent support of likely Republican caucus-goers in Iowa, far behind frontrunner Donald Trump’s 32 percent. Iowa holds its caucus Monday, Feb. 1. A poll of likely Republican primary voters in the Feb. 9 New Hampshire primary shows Paul in ninth place, with four percent support. Trump also leads that poll, with 31 percent backing. While there has been speculation that Paul’s meager showing so far in the presidential contest could impact his U.S. Senate re-election chances, Democrat Bobby Richardson admits Republicans have a major advantage in the Senate race. Simply put, the most visible Democrat in the world, President Barack Obama, remains deeply unpopular in the Bluegrass State. Obama an Albatross Around Kentucky Democrats' Necks? A Survey USA poll conducted last fall showed 61 percent of registered voters in Kentucky disapproved of the Mr. Obama’s job performance. “It’s easy to say, and to get people thinking that way,” Richardson said. Paul is facing two little-known Republican Senate primary challengers: James Gould of Lexington, and Stephen Slaughter of Louisville. The most high-profile Democrat running for Senate is Lexington Mayor Jim Gray. Other Democratic challengers are Rory Houlihan of Winchester; Jeff Kender of Phelps; Ron Leach of Brandenburg; Tom Recktenwald of Louisville; Grant T. Short of Owensboro; and Sellus Wilder of Frankfort. Lexington Mayor and Democrat Jim Gray is running for U.S. Senate. Gray, 62, told the Herald-Leader that he decided last week that he would challenge incumbent Republican Rand Paul of Bowling Green. Gray is a Barren County native and chairman of Gray Construction. He's in his second term as mayor of Kentucky's second-largest city. Gray posted a video on YouTube announcing his Senate bid. Gray isn't the only Democrat who has filed to run against Paul. Phelps manufacturing worker Jeff Kender, retired navy officer Tom Recktenwald of Louisville and Owensboro business owner Grant Short are also seeking the Senate seat. Paul also has two Republican challengers for the May primary election — Lexington financial analyst James Gould and Stephen Slaughter, an engineer from Louisville. Kentucky’s Junior U.S. Senator has attracted some competition, among both Democrats and Republicans, as he tries to hold on to his seat. While seeking the Republican nomination for president, Rand Paul is also working to win a second term in the U.S. Senate. According to the Secretary of State’s Office, five candidates have filed to challenge Paul. To win re-election, Paul will have to get through a Republican primary with candidates James Gould and Stephen Slaughter. Gould is a financial analyst in Lexington and Slaughter is a Louisville engineer. On the Democratic side are candidates Jeff Kender, Tom Recktenwald, and Grant Short. Kender is a manufacturing worker from Phelps, Kentucky. Recktenwald is a retired union officer at the Naval Ordnance in Louisville. Short is a pilot and small business owner from Owensboro. Candidates have until January 26th to file for office. 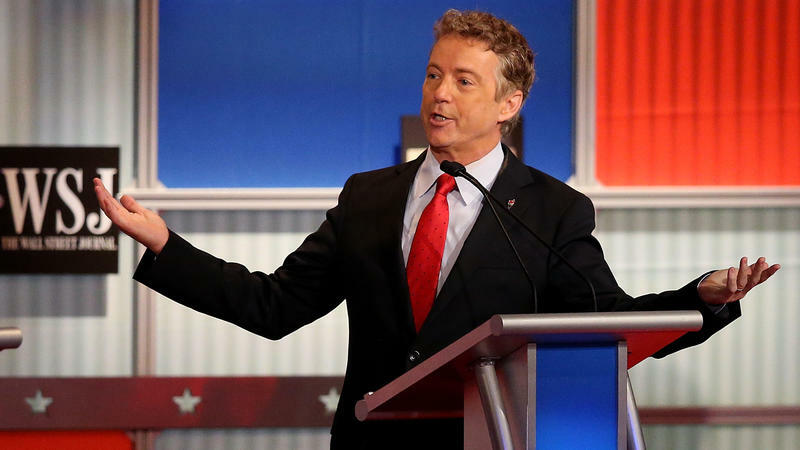 Rand Paul’s presidential campaign is still not gaining speed. At this point, it’s a running theme. Last week, Paul barely made it on to the main stage (again) for the Republican presidential debate, and many pundits are expecting Paul to drop out of the race any day now.